Unusual beaded necklace made with Calcite beads. Each bead has a natural faint striping and no two beads are the same. 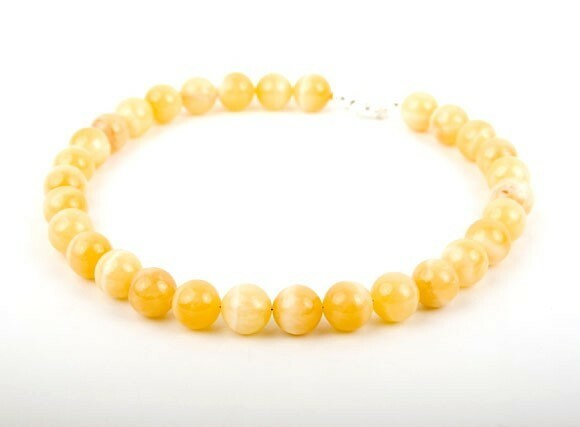 Bead colours are lemon toned.